Spring Mountain Adventures offers family fun year round in Montgomery County. With skiing, snowboarding and snowtubing in winter, ziplining in the warmer months and the Scream Mountain haunted attraction in fall, Spring Mountain is always alive with adventure. 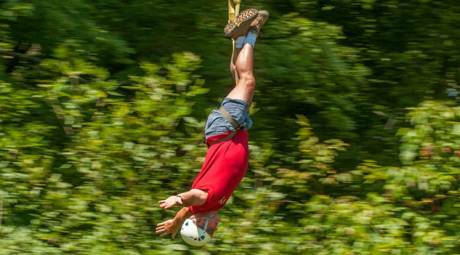 During the warmer months, the mountain is just as challenging to conquer with Spring Mountain's canopy tour course. The series of ziplines and rope bridges are a daunting task and a rewarding adventure. Enjoy smooth sailing on the Easy Rider course or take on the challenge of the Full Monty. If you're looking for a place to stay during your adventure, or just looking for a cozy getaway, book a room at the nearby Woodside Lodge at Spring Mountain, where you can enjoy a restful bed and breakfast escape in the Montgomery County countryside. 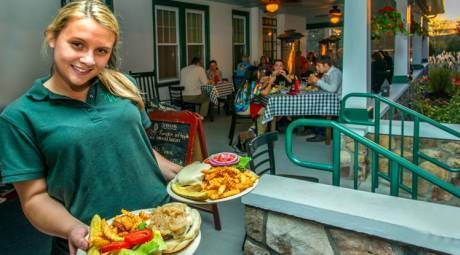 Woodside Lodge is also home to a full-service restaurant and tavern that's great for a post-adventure dinner or quiet Sunday breakfast. When the chill of winter is in the air, the slopes of Spring Mountain are filled with adventure seekers. Spring Mountain, the closest ski area to Philadelphia, offers eight slopes from easy beginner trails to the challenging Plummet, giving skiers and snowboarders of all skill levels a place to test their skills. 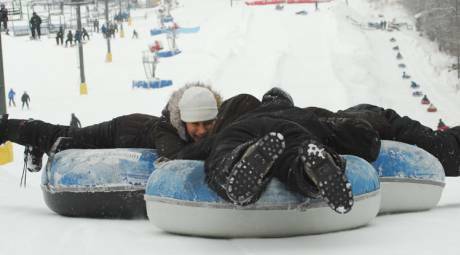 For more family fun, try your hand at snowtubing and glide down the mountain.